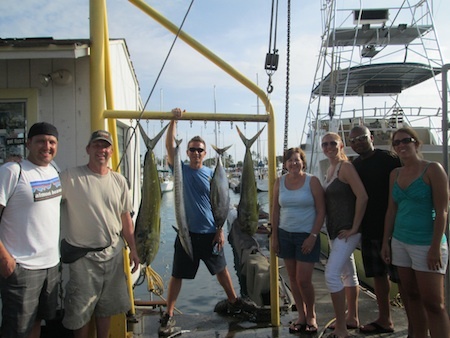 Chad, Mike, Lisa, Amos, Natalie and Ben with 2 Mahi Mahi, 1 Shibi and 1 Ono! 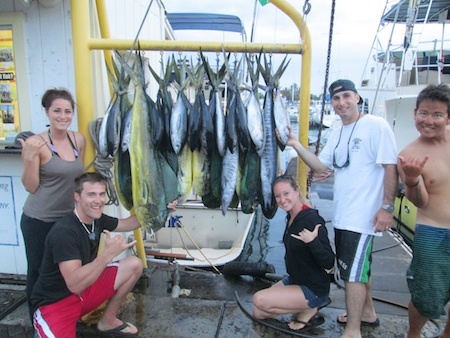 Mahalo to Chad, Mike, Lisa, Amos, Natalie and Ben for choosing Maggie Joe Sport Fishing! 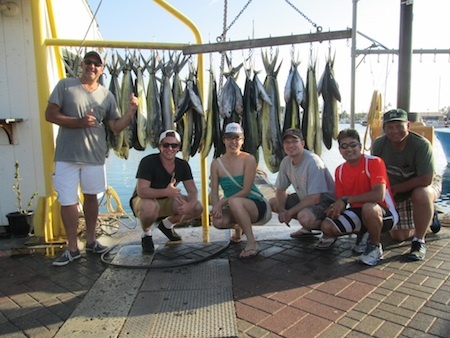 The group joined Captain Mike aboard the Maggie Joe on a full day sport fishing charter. 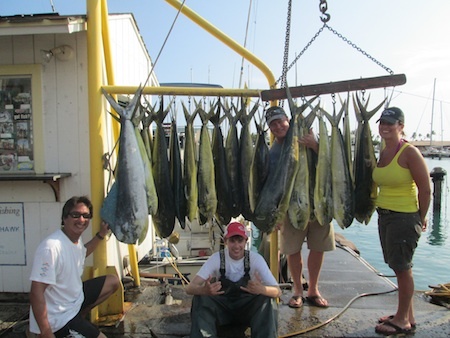 They were able to haul in 2 Mahi Mahi, 1 Shibi and 1 Ono while deep sea fishing off Honolulu, Hawaii! Aloha! Jake with this 120 lb Ahi! 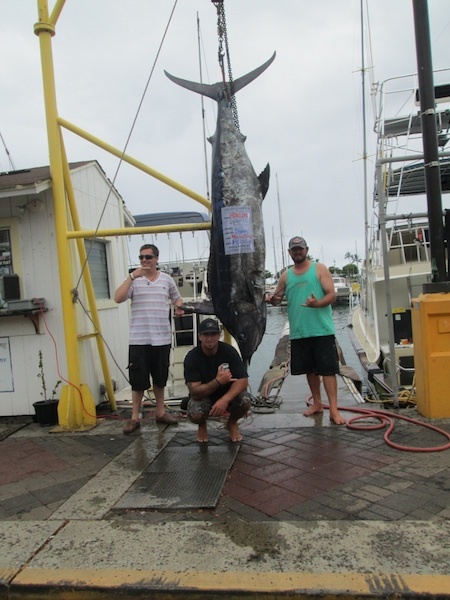 Mahalo to Jake for choosing Maggie Joe Sport fishing! Jake joined Captain Mark aboard the Maggie Joe on a full day sport fishing charter. It was a great day on the water as Captain Mark put Jake right on the fish. 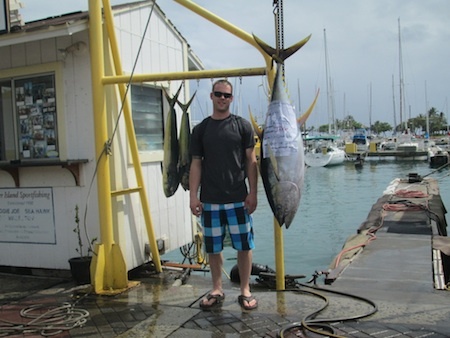 As a result, Jake brought home this nice 120 lb Ahi and a pair of Mahi Mahi while deep sea fishing off Waikiki, Oahu! Aloha! 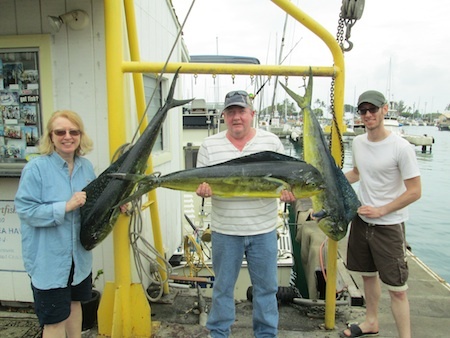 Mahalo to Peggy, Greg and Dustin for choosing Maggie Joe Sport Fishing! 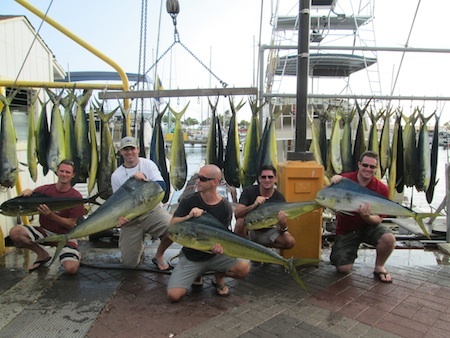 The guys joined Captain Mark aboard the Maggie Joe on a full day sport fishing charter. 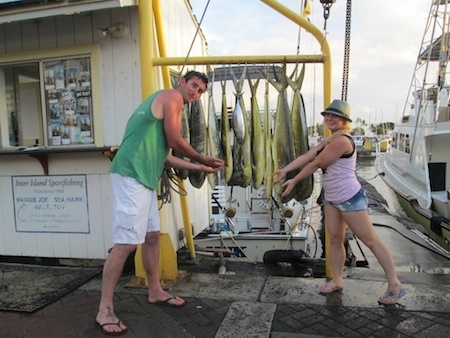 They were able to bring back 3 tasty Mahi Mahi after deep sea fishing off Waikiki, Oahu! Aloha!